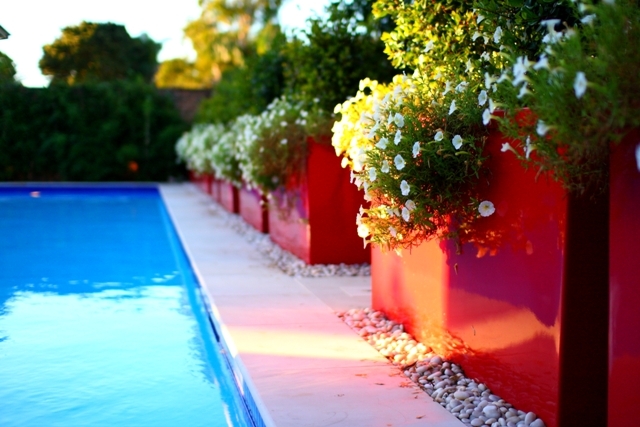 Classic white sandstone paving and coping and bright red planter boxes create a striking contrast with the cool blue water. 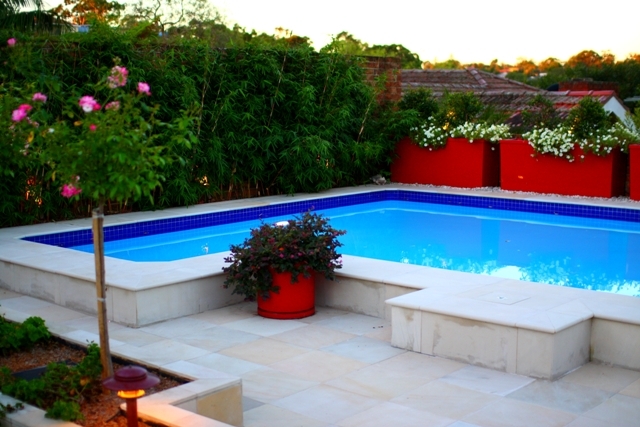 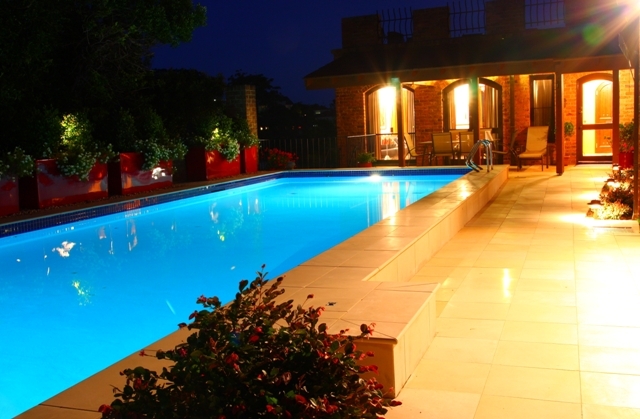 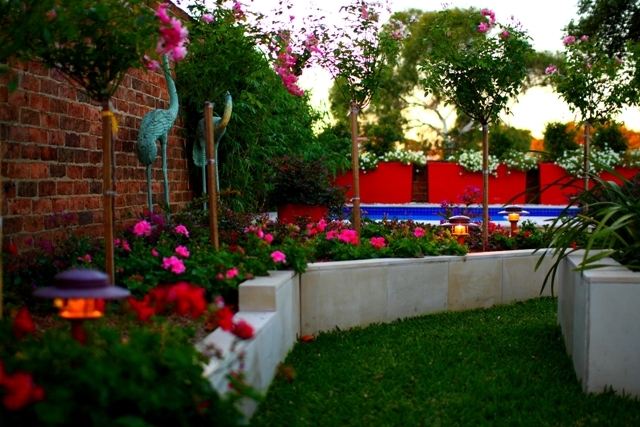 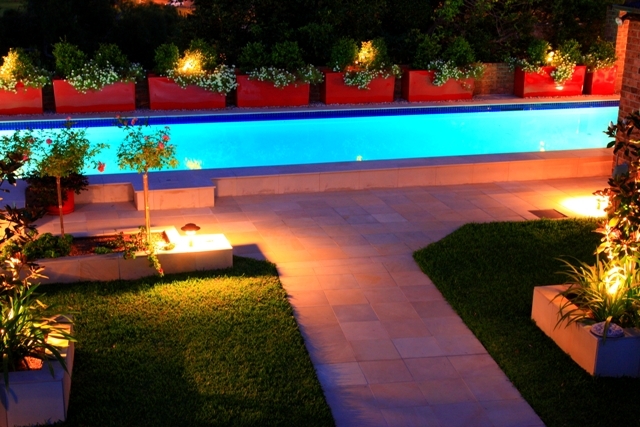 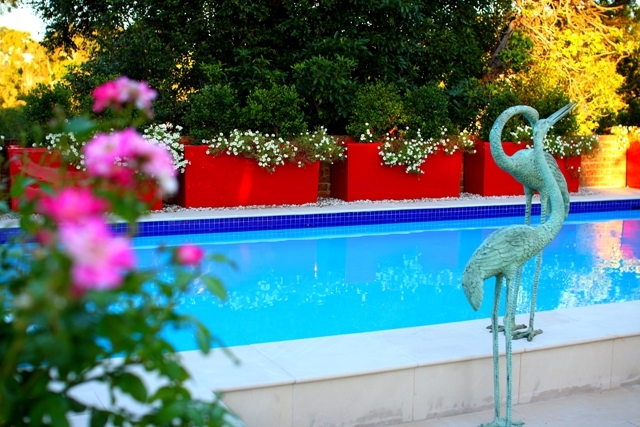 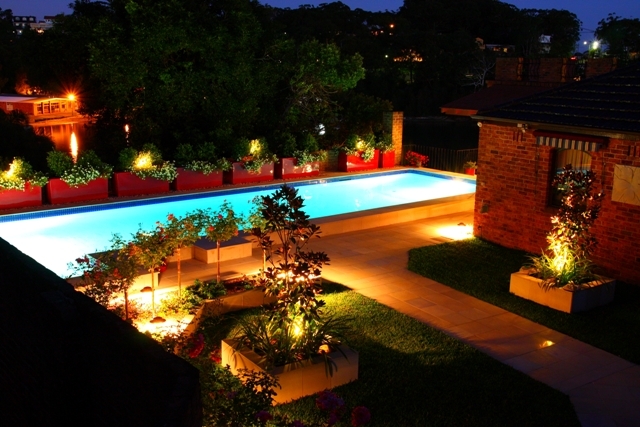 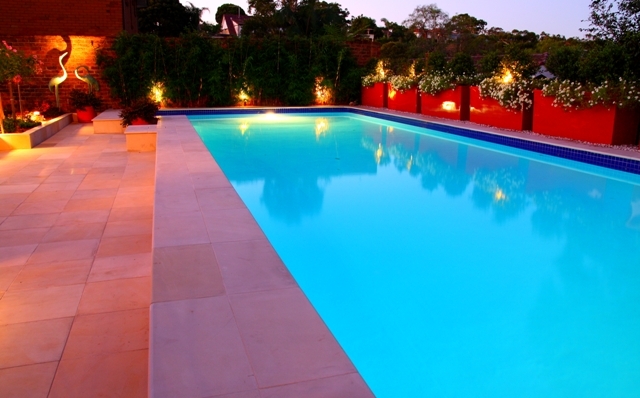 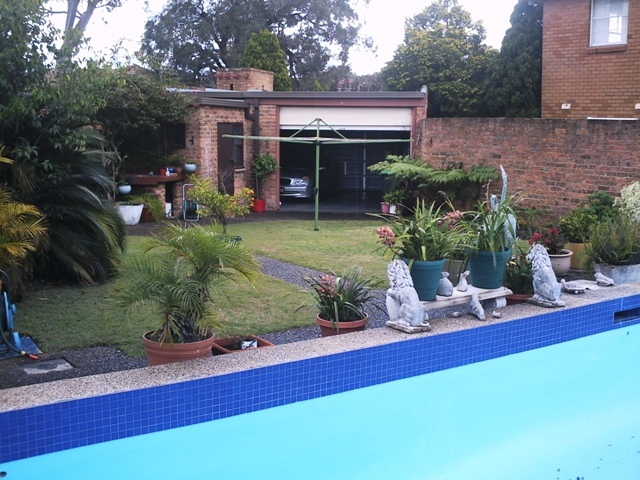 Fresh and revitalised, this pool garden scarcely resembles its former self. 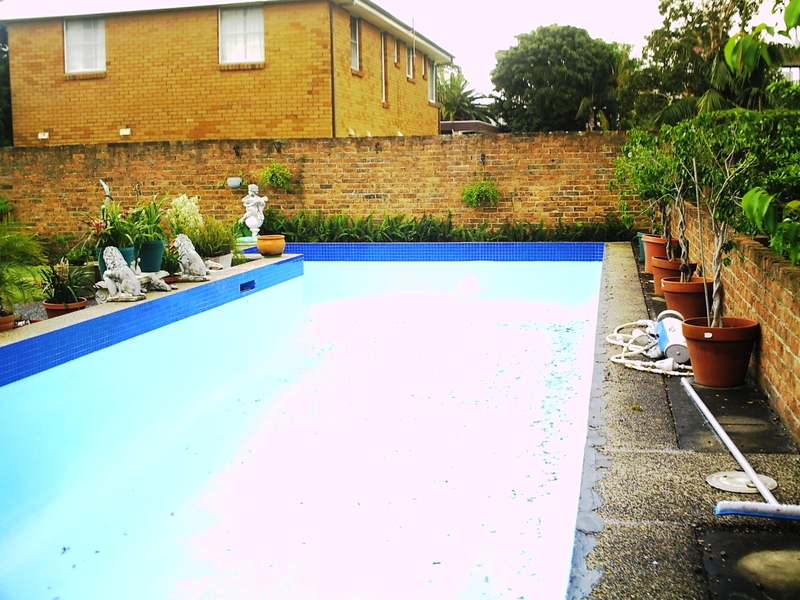 The results of this transformation speak for themselves.